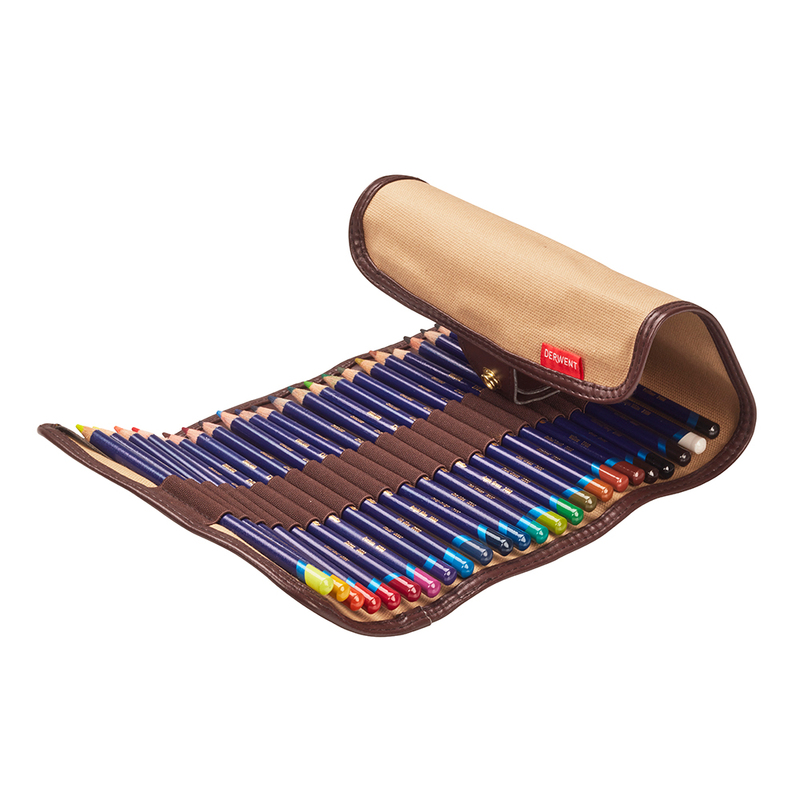 This Derwent Inktense 24 Pencil Wrap Set contains 24 vibrant coloured pencils from the Inktense range and one of Derwent’s stylish and practical pencil wraps. 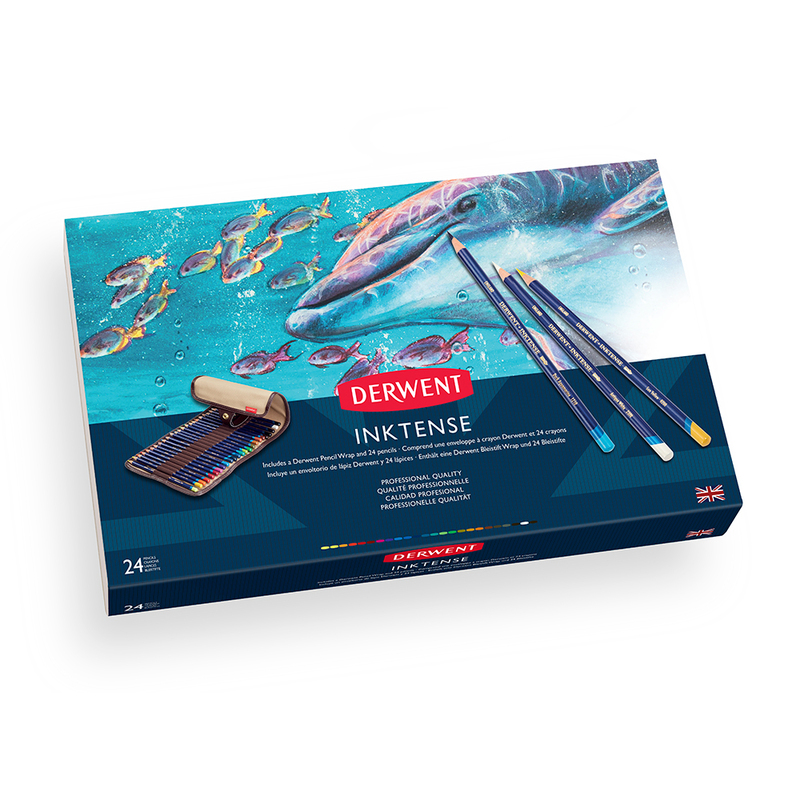 The Inktense pencil range allows artists to experience the distinctive qualities of pen and ink artwork in an easy to use pencil form. These pencils have a firm texture that is easily blendable and are transformed from dry colour into vibrant ink with water. Diluting the colour with a wet paintbrush will create a paint with vivid, ink-like translucency. This set also includes a non-soluble outliner which you can use to create permanent lines! 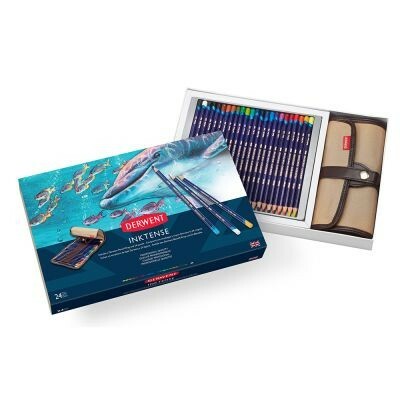 These pencils are incredibly versatile and can be used for all kinds of techniques including fabric painting, traditional watercolour and botanical illustrations. Please note that contents are subject to variation.